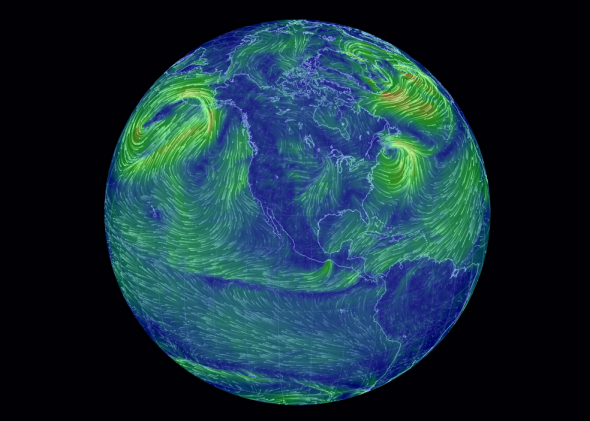 Global wind map: Cameron Beccario's visualization of world weather patterns. Last year, designers Fernanda Viégas and Martin Wattenberg brought us the “Wind Map,” an artistic visualization of wind patterns across the United States. Now their map has inspired another Web developer, Cameron Beccario, to adapt the concept to a global scale. 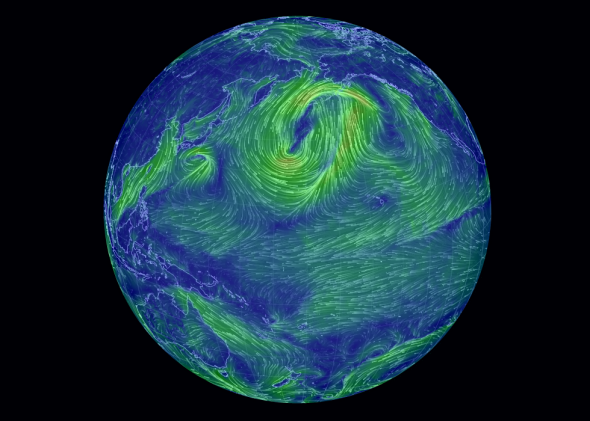 Beccario started with a wind map of Tokyo, where he lives. Then he took on the world. You can see his animated map at earth.nullschool.net. Using data from the Global Forecast System, Beccario’s map updates every three hours, showing near-current weather patterns worldwide. You can spin the map like a globe, zoom in on a particular region, or just soak in the oddly soothing sight of the neon lines steadily making their way across the globe. One takeaway: If you think the winds are bad over land today, check out the ones sweeping across the seas. The Pacific Ocean is not looking very pacific today. Another takeaway: The waters around Antarctica do not look like a pleasant place to sail. 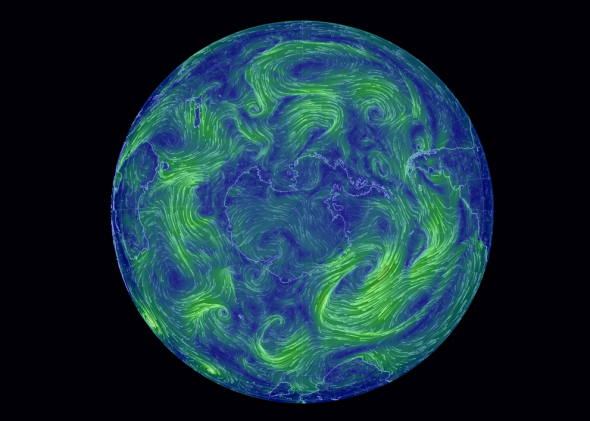 Antarctica is surrounded by swirling gyres associated with the cicumpolar current. As the Washington Post’s Capital Weather Gang points out, you can also use the map to get a broad view of specific weather events making news around the world. The Weather Gang matched up the map to last week’s Middle East snowstorm and the Norwegian winds so strong they knocked people down.